Waimea Canyon Splendor. 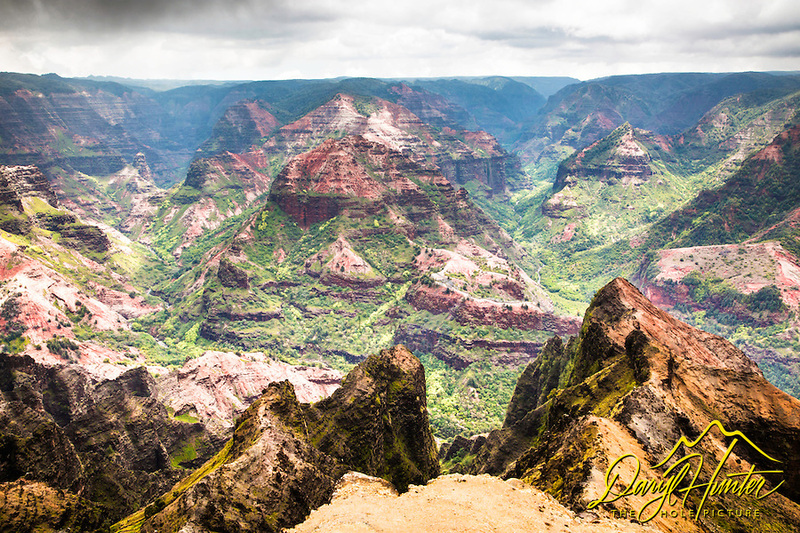 Waimea Canyon, on Kauai's West Side, is described as "The Grand Canyon of the Pacific." Although not as big or as old as its Arizona cousin, you won’t encounter anything like this geological wonder in Hawaii. Stretching 14 miles long, one mile wide and more than 3,600 feet deep, the Waimea Canyon Lookout provides panoramic views of crested buttes, rugged crags and deep valley gorges. The grand inland vistas go on for miles.